This kind of cap styles has lace all around the perimeter and allows you to wear your hair in updos and high ponytails. And when glued down, it will give you a natural hairline all around the perimeter. It can be parted anywhere throughout the unit. This kind of cap styles has lace all around the perimeter (stretch in the back) and allows you to wear your hair in updos and high ponytails. And when u glued it down, it will give you a natural hairline all around the perimeter. It can be parted anywhere throughout the unit. Compared with cap 1 no silk top, this item has silk top, silk top will give us a illusion of real hair. beacause silk top covers black knots (which are not bleached except perimeter part), so it just like hair grows from ur scap. 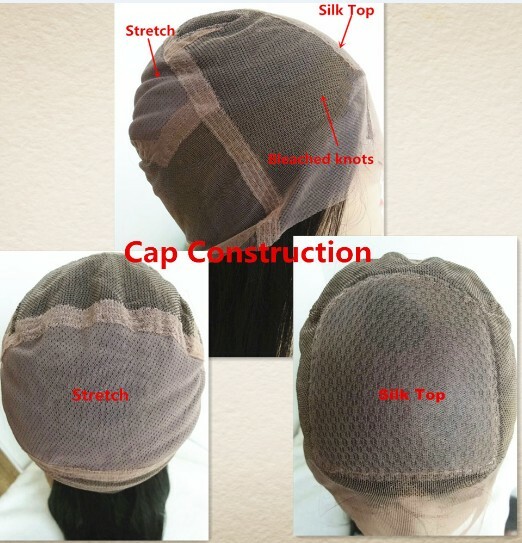 You can do high ponytails or buns with this cap construction. Compared with cap 2 no silk top, this item has silk top, silk top will give us a illusion of real hair. beacause silk top covers black knots (which are not bleached except perimeter part), so it just like hair grows from ur scap. this cap type has stretch in the wefts part, so the hair will look like more natural and cap construction is more firm than lace front wig. 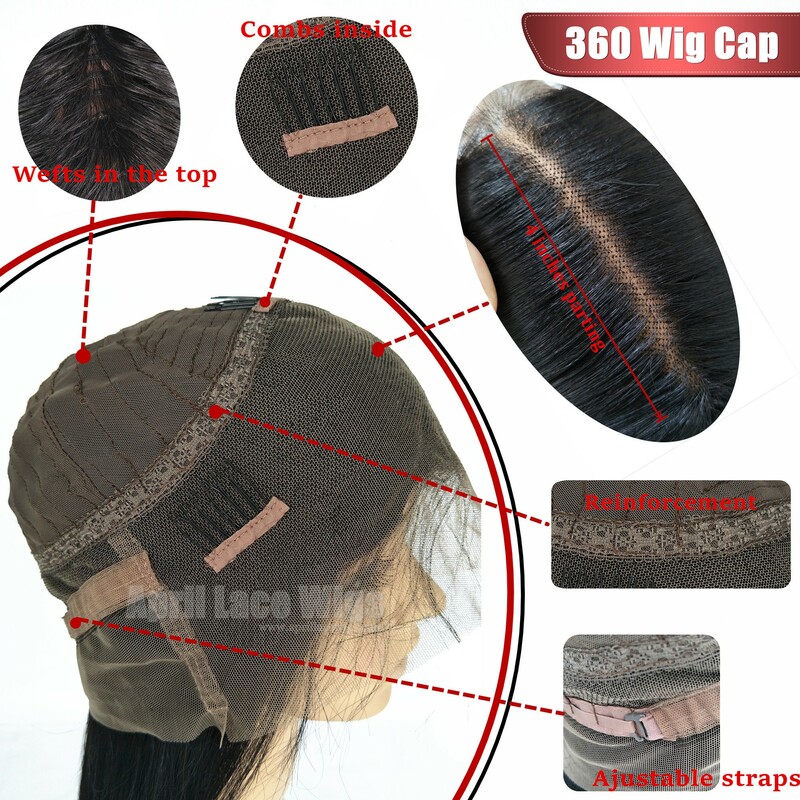 Lace front cap with machine made weft back, it's most common lace front cap. Compared with cap 4 no silk top, this item has silk top, silk top will give us a illusion of real hair. beacause silk top covers black knots (which are not bleached except perimeter part), so it just like hair grows from ur scap. 360 lace frontal with wefts sewn in the back.